Gain an edge on the mound with the new Wilson A2000 B212 SS, now made with beautiful black SuperSkin and dark brown Pro stock leather. 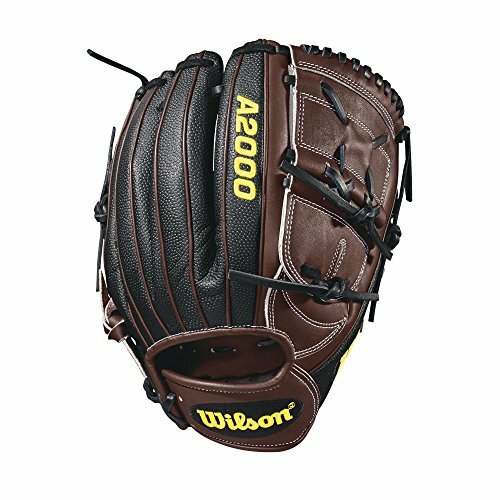 This popular pitcher's WTA20LB18B212SS came about when Wilson Advisory staff members requested a glove like the A2000 B2 with a little extra length. They like the closed 2-piece web for total ball and grip concealment on a 12" glove with a deep enough pocket for grip changes. The A2000 B212 SS offers unequaled performance and serious durability with a lighter feel thanks to the SuperSkin. Constantly improving patterns. Materials that perform. Always-dependable construction. The evolution of Wilson A2000 Baseball glove has been driven by insights from the Wilson Advisory staff and Baseball players worldwide. This is why hard working players love its unmatched feel, rugged durability and perfect break-in. Wilson A2000 SuperSkin gloves are the utility players of the Wilson glove line. A versatile mix of Wilson Pro stock leather and its man-made SuperSkin helps to make these glove models stronger, lighter and easier to break in than the all-leather A2000 gloves.